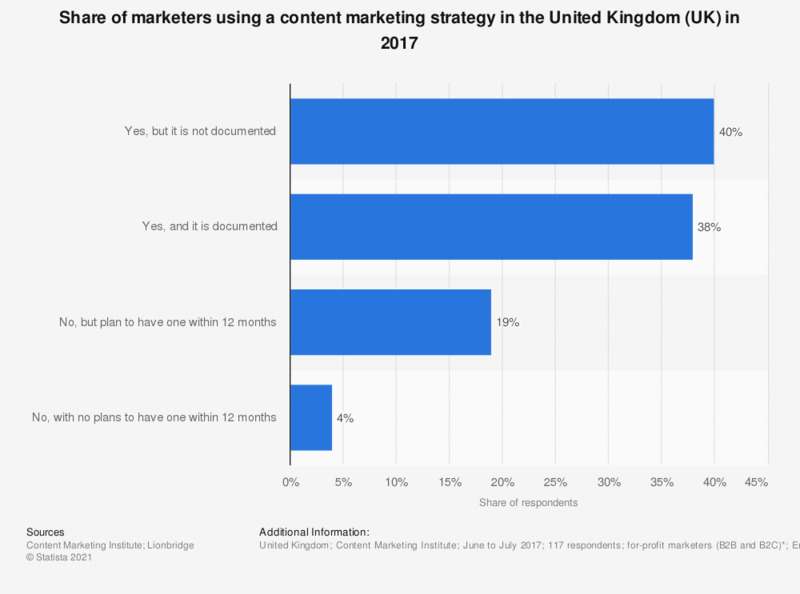 This statistic displays the usage of content marketing strategies among marketers in the United Kingdom (UK) in 2017. Among marketers, 38 percent reported having a documented content marketing strategy. * In 2017, marketers were contacted using lists from Content Marketing Institute, MarketingProfs, the Association for Data-driven Marketing and Advertising (ADMA), and WTWH Media.